Italy is one of the most enchanting and perfect destinations for a wedding abroad, please read about some good reasons that will help you choose Italy as your marriage destination. History: Ancient historical buildings and sites will surround your Wedding celebration – thousand years old monuments that sprout culture and local traditions. Settings: From the sea to the mountains, countryside, and plains, beautiful and elegant lakes and wild nature, Italy offers a wide choice of settings for your destination Wedding celebration. Holiday: A holiday in Italy? Why not? – you will offer your guests the chance to be part of a memorable event and to add to the experience the opportunity of an unforgettable holiday. Hospitality: You will feel overwhelmed by the Italian population – known all over the world for their warm hospitality, generous and positive attitude, fascination and style. Honeymoon: Each part of our country is very different and without traveling too far you can go from the Mountains to the Sea, visit cities or small rustic towns – there is such a wide choice that our recommendation is to take advantage of this opportunity and plan your Honeymoon in Italy. Design: Your wedding theme can match the colors of the region you select that vary according to the season – bright and sunny or pale and delicate the design of your Wedding day will be unique and will reflect your personality. 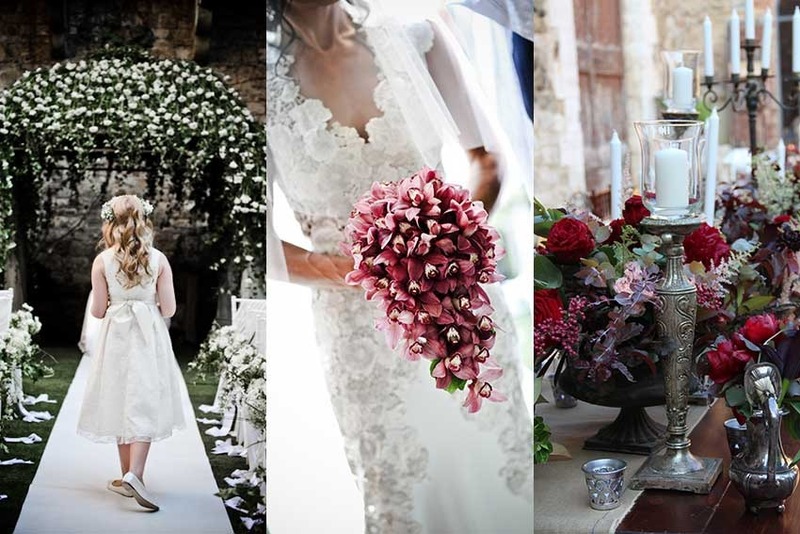 Tradition: Every region of Italy has different traditions that can enrich your wedding of history, art, and culture. Experience: Italy has the longest experience of welcoming weddings for foreigners. Love: Italians are incredibly romantic! Let’s celebrate love in the country of LA DOLCE VITA.